As we all know, one of the most challenging one-day types of competitions in the world is a series of races under the Ironman brand, which are held throughout the year in various parts of the planet. This year, the World Triathlon Corporation (WTC), owned by the Ironman brand, has scheduled more than 140 IRONMAN 70.3 and IRONMAN 140.6 races, including the World Championships. The start of the Ironman season is already given and the first official event took place on January 13 in Pucon (Chile). Well, all our attention will be riveted to the third start of the Ironman 70.3, which will be given a start tomorrow, February 1, on the picturesque Jumeirah beach (Dubai, United Arab Emirates). 31 Kazakhstani athletes are planning to take part in this race in the individual category, among them the Olympic champion and KTF honorary member Alexander Vinokurov. 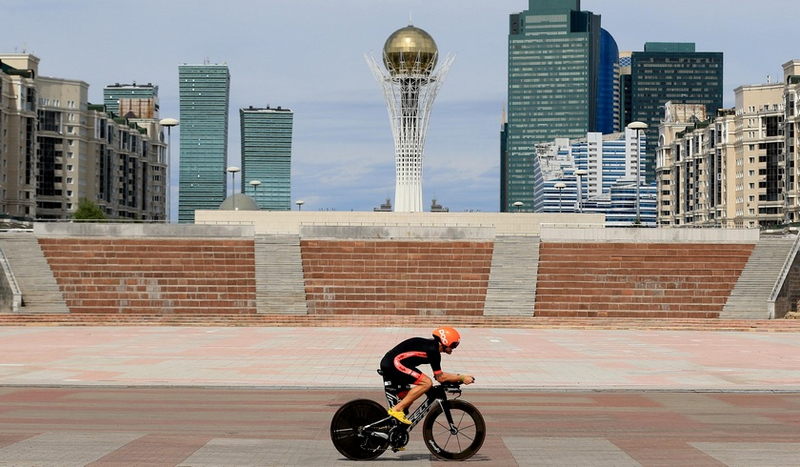 Two Kazakhstani teams, “Assem tate” and “Astana Tri Team”, are announced at the relay teams category. We wish all our athletes a successful finish. At the same time, it will be interesting to watch the pro athletes' race, among which will be the two-time Olympic champion and the winner of last year's Ironman 70.3 Dubai Alistair Brownlee and world record holder at the “half-iron” course Norwegian Kristian Blummenfelt. At the same time, we will be particularly interested in those starts, where our athletes traditionally go to conquer the peaks of IRONMAN. Here you can highlight races, which will be held in August in Copenhagen (Denmark) and Tallinn (Estonia), in September in Emilia-Romagna (Italy) and in October in Barcelona (Spain). Also, our fans will have the opportunity to watch the BI Group Ironman 70.3 race in Astana on July 14. The culmination of the season will be the Ironman 70.3 World Championships in Nice (France) on September 7 and the main start of the season - the Ironman 140.6 World Championship, which will be held in Kailua-Kona on October 12.